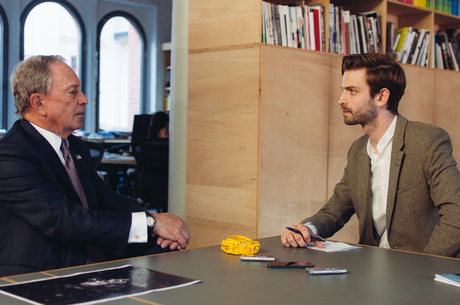 The European: Mr. Bloomberg, you initiated the Mayors Challenge, a competition among cities to find innovative ways of tackling urban problems. What, in your opinion, are the greatest challenges facing cities today? Bloomberg: Virtually all of society’s problems are problems that both originate in the cities and are being solved there. Think about climate change: More than half of the world’s population lives in urban centers, and if you could reduce energy consumption there, you could potentially slow down climate change. Crime, education or job creation are other good examples that prove that cities are where it’s at. That’s partly because of the concentration of people, but also because of city politics. The European: How do local politics differ from national politics? Bloomberg: Cities normally have a mayor who’s a reasonably strong executive, and it is quite easy for journalists to measure and analyze whether the city government actually delivers services. You pick up the garbage or you don’t. There’s a body on the street or there is not. Somebody’s on the breadline or they have a job. It’s not difficult to assess how effective or ineffective a mayor is. If you can measure effectiveness, then you as a journalist can write about it and the public will develop an interest for these issues. On the state and federal level, that’s much more difficult because journalists write about processes without clear conclusions. There are some things that can only be decided on the federal or state level – starting wars for example – but generally speaking, both the problems and the solutions are located in the cities. The European: What is the advantage of cities over nation states? Bloomberg: I will give you an example from the U.S.: In spite of the political paralysis when it comes to questions about climate change, there have been enormous improvements in the environment. These improvements are the result of good governance at city level. New York City reduced its carbon footprint by roughly 19%. We achieved this by curbing energy consumption and by undertaking very simple steps like painting the roofs of buildings white. Also, cities are where private philanthropy comes from. Initiatives like the Sierra Club that I and other philanthropists support have managed to reduce the number of coal-fired power plants in the U.S. Federal government isn’t interested in that and often neglects the big issues like the environment, education or crime. The European: So cities are a perfect local laboratory for testing solutions to global problems? Bloomberg: Absolutely. And it’s important to bear in mind that these “laboratories” are more or less the same the world over. You may have less crime or unemployment in one place, but it’s fundamentally the same structure – it’s just the magnitude that changes. So finding solutions to these problems in one city will enable us to test them in other cities that experience similar problems. One of the criteria to win this prize is that ideas have to be transferable; maybe not exactly, but certainly generally, the proposed solutions should be solutions that anyone could use. The European: Cities are much more alike than nation states, but there are nevertheless big differences between, for example, New York City and Shanghai. 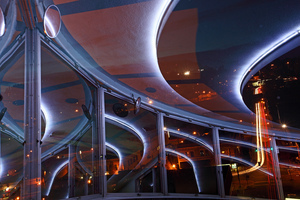 Do you really think that innovation can just be replicated from city to city? 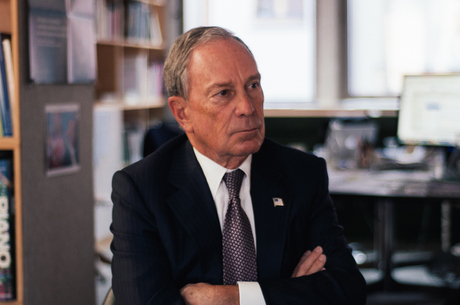 Bloomberg: I have always believed that governments exist only with the will of the majority of the people and there might be no better example of this than the city we are sitting in right now. It was neither the Russian nor the American army that brought down the Berlin Wall but the people on the one side seeing that those on the other side were leading a better life. The government ultimately had to cave in. Ideas are powerful if people understand how they can affect their lives. Geographical distances or regional differences are of secondary importance in this. 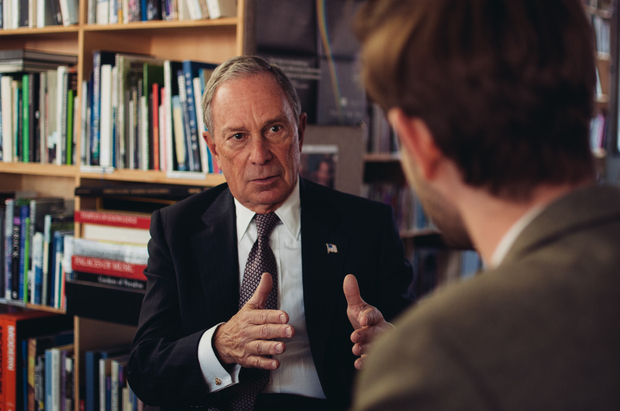 Bloomberg: You can bring the problems of the future such as climate change down to the here and now. Your kid might have to go the hospital because of an asthma attack. Incidentally, the doctor tells you that the water you’ve been drinking or the air you’ve been breathing caused the attack. At that moment, those future problems get your attention because you realize that they are not so distant but are already having an impact on your life. You can solve some of those longer-term problems if you can convince people that these issues cannot be simply ignored or neglected. The first signs of these problems start to show in cities, and that’s why they are quicker to act upon them than nation states. Bloomberg: An awful lot of stuff is done in places you wouldn’t even think about! At the city level, it’s not about worldwide visibility, war and peace or airplane crashes – it’s about delivering services! And that can be done in every part of the world. There can be a mayor in some small rural town you have never heard of who’s coming up with an idea that can ease the lives of millions. The job of being a mayor is virtually the same everywhere – be it in New York City or a small rural town in Germany. 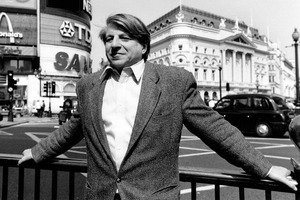 The European: A few months ago, we interviewed former Clinton advisor Benjamin Barber who wrote a book called If Mayors Ruled the World. In it, he argues that cities are already more powerful than nation states and are therefore better suited as problem solvers. Do you agree? Bloomberg: It’s a fairly true assessment – at least in the U.S. There is an imbalance in terms of power, not just between the state and cities but also between cities and federal states. The big difference is between geographical distribution and population distribution. In the U.S., we have two legislative branches: one based on population, one based on geography. The state of Oklahoma has far fewer representatives at the state level than the state of New York, although the latter is smaller in size. The European: How important are party politics at the city level? Bloomberg: Generally speaking, mayors deal on a bipartisan level. The former mayor of New York, Fiorello LaGuardia, once said that there is no Republican or Democratic way of picking up the garbage. And he was right! In New York City, I ran as a Republican because I could not get on a ballot as a Democrat. There are virtually no Republicans in New York City and yet I won because people care about services. The European: Because people in the city care about outcomes, not political ideologies? Bloomberg: They think very pragmatically. You want your kids to be healthy and you want to be safe from crime. New York City used to be a very dangerous spot, but today you can walk any neighborhood without having to look over your shoulder – that’s not a given in an American city of that size. That feeling of safety was what people wanted, and I was very successful in establishing it; that’s why I was popular and got re-elected. 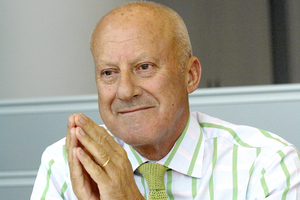 The European: Do you think that mayors are more accountable than politicians at the national level? Bloomberg: Because people can walk out the door and see what the mayors did or did not do. You can easily measure their effectiveness. Legislators, on the other hand, can simply say: “Look, we are here to write legislation that will only have effects 10-15 years from now." Mayors can’t do that. They have to live up to their promises in as short a time frame as possible. The European: You could say the same thing about the president. Bloomberg: Because presidents are also executives. But they nevertheless deal at a very different level; the scope is much wider. But bear in mind that most government officials are unwilling to delegate. They want everything centered through them. They argue it fosters consistency; I argue it is because they are insecure and afraid to lose some of their decision-making power. The bigger the government is, the less likely it is to be devolved down. But in a small town, even people at lower positions can be involved in every decision. That’s not possible in a country like the U.S. or a city like New York. But my general piece of advice is: Don’t run for mayor if you don’t like accountability. The European: Most of the finalist projects of the Mayors Challenge focus on civic engagement or public health issues rather than infrastructure per se. Why? 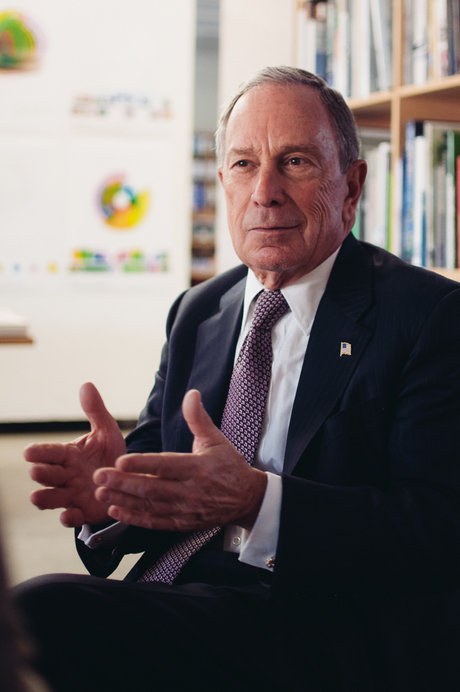 Bloomberg: The projects that are close to the citizens are those that matter most. And very often, they are quite easy and relatively cheap to implement. Building a bridge costs a fortune but might not yield the same positive effects a smaller project that helps citizens to connect with each other can have. The European: The small projects make the big difference? Bloomberg: Yes, you might still need the bridge, but there’s no reason why you shouldn’t undertake the easier and cheaper steps first.